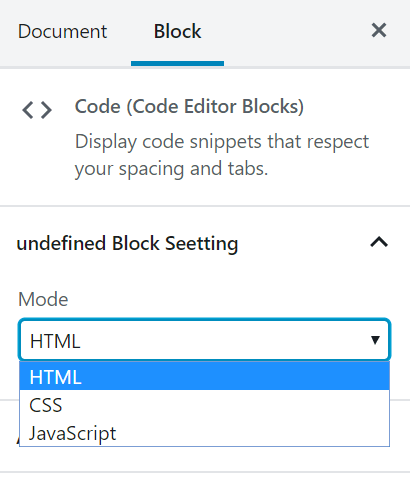 The Code Editor Blocks plugin provides 2 blocks that make it easier to edit code snippets in the Gutenberg editor. HTML Editor: Add custom HTML code and preview it as you edit. 1. 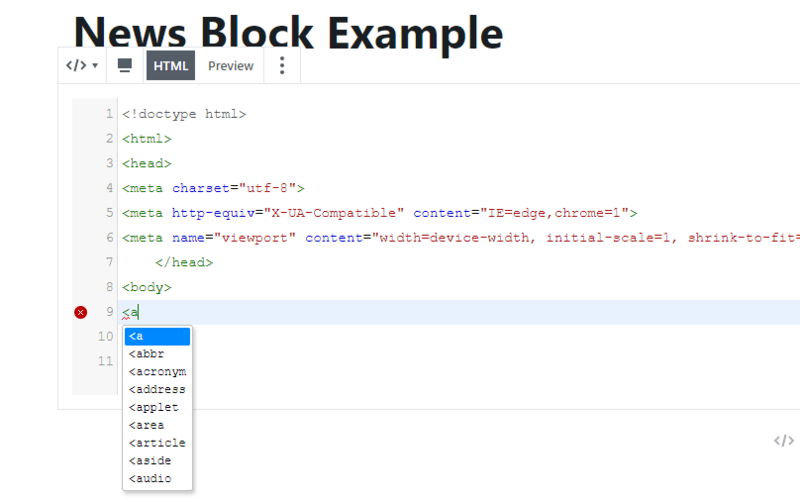 Download the Code Editor Blocks plugin. 2. Upload, install and activate the plugin. 3. 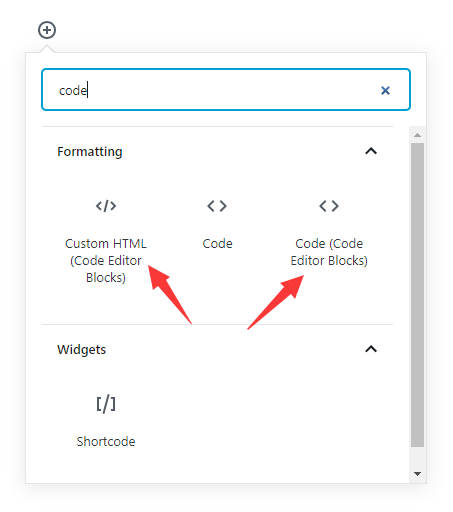 Create new code editor block in the Gutenberg editor. 4. Select the mode of the editor from the right panel.